The Cumberland County Jail as seen on March 10, 2014. 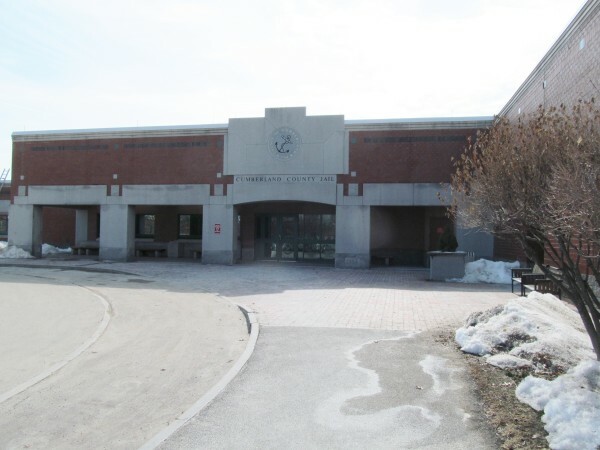 AUGUSTA, Maine — The outgoing executive director of the state Board of Corrections, Ryan Thornell, confirmed for lawmakers Tuesday that Maine’s county jails are face critical funding shortfalls, a situation that puts public safety at risk. The statewide jail system’s budget is $80.4 million per year. Thornell and Sagadahoc County Sheriff Joel Merry told a joint meeting of the Legislature’s Appropriations and Criminal Justice and Public Safety committees that many of Maine’s 15 jails were out of money. Thornell resigned from his post effective next week. Merry is president of the Maine Sheriffs’ Association and one of two remaining members of the Board of Corrections, which now lacks enough members for quorum. Merry and Thornell, with sheriffs and representatives from at least 10 of the state’s 16 counties sitting behind them, confirmed media reports suggesting jails may have to close their doors and release prisoners if a funding crisis is not averted. Thornell also suggested Tuesday that the Board of Corrections did have the authority, based on legislation passed in 2014, to resolve many of the funding problems, but without a quorum, the board was unable to pass the rules necessary to enact those changes. “So we do not know today what the impact of the legislation is or what it should be because we have not had a board membership that would allow us to take that legislation and put it into place,” Thornell said. Gov. Paul LePage has refused to appoint replacements to the board, saying that the board has not efficiently run Maine county jails since its formation in 2008 as part of an attempted merger of state and county corrections systems. Adrienne Bennett, LePage’s press secretary, said the governor has left his door open and is willing to work with lawmakers to find a solution but he would not appoint new board members. Bennett said the Board of Corrections has failed in the past and LePage sees no reason why a new board would fare any better in the future. The options left on the table seem to be either a state takeover of county jails or a full return of jail operations and funding to county governments. While touting the fact that the consolidation had relieved property tax payers of full responsibility to fund county jails, Thornell said a combination of factors has led to higher costs for jails, including a growing population of inmates who remain incarcerated until their trials because they cannot make bail. The state’s 15 jails house a total of about 1,800 inmates daily, with 69 percent of them awaiting trial. Sen. Eric Brakey, R-Auburn, on Wednesday issued a release suggesting that legislation he has proposed, An Act to Eliminate Cash Bail, would alleviate that stress on the jails. Brakey argues that switching to a bail system based on risk assessment would relieve jail overcrowding, save taxpayers money and protect Mainers’ civil liberties. Thornell also attributed the jail system’s funding problems to the fact that jails are not housing as many state and federal prisoners as in past years, reducing the compensation they receive for that service. Housing an increased number of inmates with violent mental health problems also costs jails more, Thornell said. Thornell also reiterated what he and others see as a flaw in the law that created the Board of Corrections. He said the board can’t be effective without total control of the purse strings. “I’m not going to sit here and tell you that the counties don’t want to assist the Board of Corrections because we have received tremendous cooperation from the counties, more so than I ever expected,” Thornell said. But he noted that even under the new legislation that gave the board more power, counties were still allowed to opt out, and all it took was one or two counties to buck the system to break it. The board’s last official act was to authorize the funding for jails for the last two quarters of this fiscal year, which ends June 30. Even so, some jails are expected to run out of funding in April, Thornell said. Overall, jails are facing about a $2.5 million shortfall, including about an $800,000 shortfall for Aroostook County. Rep. Peggy Rotundo, D-Lewiston, House chairwoman of the Appropriations Committee, said funding the Board of Corrections appropriately was an ongoing frustration for lawmakers. “Having given you the authority as the Legislature last year and now, you are feeling that your hands are tied, because the [governor] is not making these appointments is just very difficult,” Rotundo said. Rep. John Martin, D-Eagle Lake, suggested the Legislature could circumvent LePage with a law change that would give the Legislature the authority to appoint at least a quorum of the board. “Certainly, if the governor decided he’s not going to make the appointments, there is nothing that prevents the Legislature from creating a committee where the appointees are made by the Senate president and the speaker of the House,” Martin said. Either way, Merry said, jails — including those in York, Cumberland, Androscoggin, Penobscot and Aroostook counties — face a crisis because administrators had already depleted all other available county budget resources, including any fund balances and surpluses.